Seeing the Pennsylvania Ballet at the Academy of Music is an experience from beginning to end. 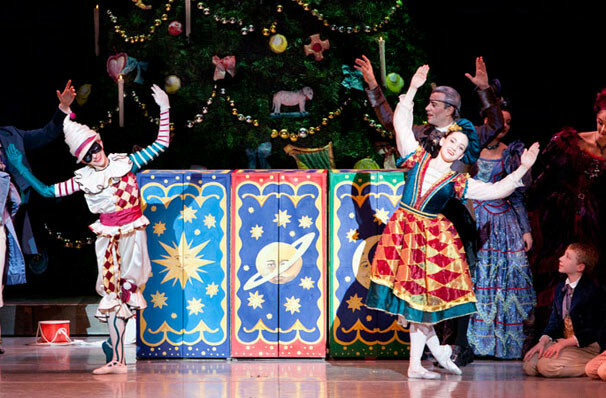 Why See George Balanchine's The Nutcracker? 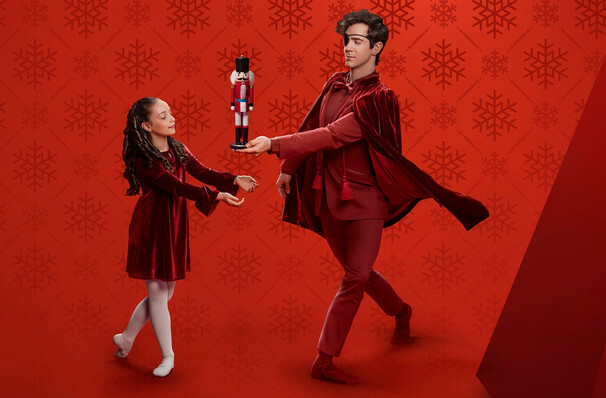 George Balanchine's enduring and now iconic ballet The Nutcracker is performed by only a handful of American companies every holiday season, with Pennsylvania Ballet being one of the most famous, having performed it for over 50 years! Create new yuletide memories with this distinctive production of the classic holiday tale. Let the music of Tchaikovsky guide you through glistening fields of snow, into the midst of gruelling battles and finally the kingdom of the Sugar Plum Fairy. Spectacular sets and the timeless choreography of George Balanchine mean that this work is as fresh and light as ever, and is sure to be a treat for all ages. 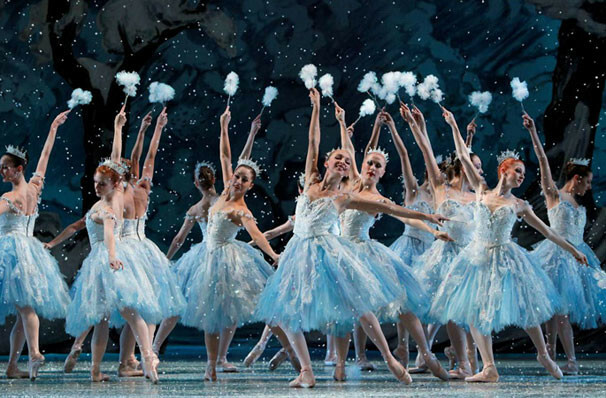 Balanchine's version follows closely to the original Petipa libretto. We open on Christmas Eve, in the Stahlbaum house. There's music and presents and food, and the three Stahlbaum children are beside themselves with joy at the wonder of it all. There's danger on the horizon though, heralded by the arrival at the door of local magician Drosselmeyer. He comes bearing gifts for the children, including a wooden nutcracker. This is just the start of an adventure which will lead our characters into a war between mice and gingerbread men and through the Land of Sweets. Hailed as the father of American ballet, George Balanchine fused the techniques taught to him at the Imperial Ballet in Moscow with the styles of dance fashionable in Broadway shows and movies of the 40s and 50s. 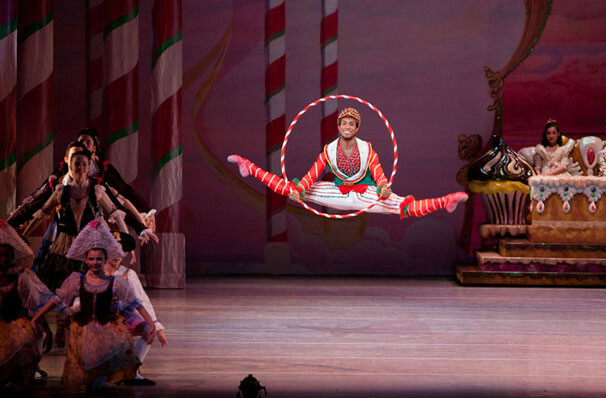 His version of The Nutcracker, which he created in 1955, is the one most commonly known to American audiences. It's performed every year by The Pennsylvania Ballet, which itself was founded by one of Balanchine's students, Barbara Weisberger. Sound good to you? 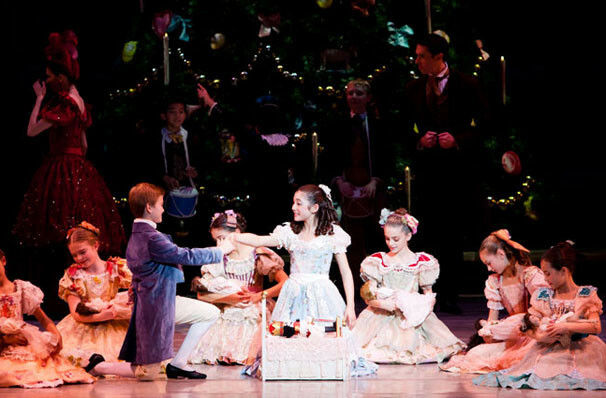 Share this page on social media and let your friends know about George Balanchine's The Nutcracker at Academy of Music. 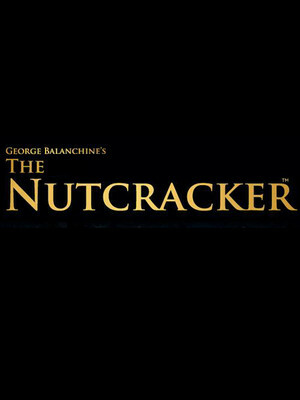 Please note: The term Academy of Music and/or George Balanchine's The Nutcracker as well as all associated graphics, logos, and/or other trademarks, tradenames or copyrights are the property of the Academy of Music and/or George Balanchine's The Nutcracker and are used herein for factual descriptive purposes only. We are in no way associated with or authorized by the Academy of Music and/or George Balanchine's The Nutcracker and neither that entity nor any of its affiliates have licensed or endorsed us to sell tickets, goods and or services in conjunction with their events.